Goodbye West Coast Swing, and hello Florida! Get ready for some flat golf courses as the next four events will take place not in the land of fruits and nuts, but in the land of wrinkly old people. First up is the Honda Classic in Palm Beach Gardens. Check out the Draft Kings picks here. Honda! The Honda Classic is only the second car company sponsored tournament of the year (would have been the third if if Nissan hadn’t given up sponsorship of last week’s Northern Trust Open in 2007). Known mostly in the US for their reliable cars, Honda didn’t start out making cars in Japan. After WWII, Soichiro Honda used his knowledge of engines that he gained during the war to start building motorbikes, with the first being released in 1949. Their first four wheeled vehicle wasn’t released until 1963. Though I wasn’t there back in the 60s, I’m going to assume the following was the conversation, probably in Japanese, that took place between the higher-ups in the company. Exec 1: We’re pretty good at building motorbike engines right? Exec 1: Well we should probably put that in a car and sell it too. Exec 2: What kind of car should we make? Exec 1: Screw it, let’s make a truck! 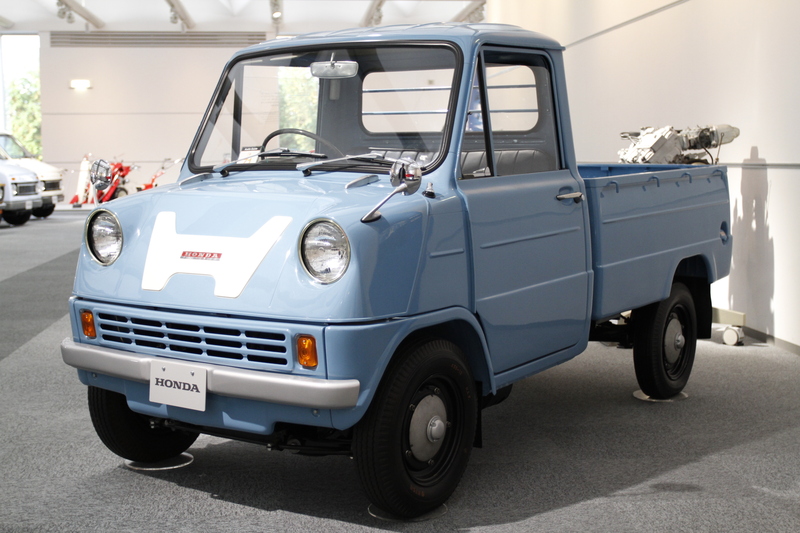 And thus the Honda T360 was born! Since 1963, Honda has spent the last 52 years proving that they still can’t make their trucks popular in the US, but at least their cars are pretty good. The Honda T360. I’d drive that. Actually, “I’d Drive That” would make a good slogan for Honda. Get some famous people to say that and boom! Top selling truck. Since 2007, the Honda Classic has been held at The Champion Course at PGA National Resort & Spa (quite the mouthful huh?) in Palm Beach Gardens, Florida. The course opened in 1981, and actually hosted the 1983 Ryder Cup and the 1987 PGA Championship. Impressive for a course so old, it still holds up to modern day standards without having the quirkiness that most older courses use to keep scores low. Granted, 1981 doesn’t put the course in the categories of “classic” courses, but it plays like designer Jack Nicklaus knew players would soon have 460cc drivers and be able to spin the ball out of 5 inch long bermuda rough. As any good tour course has these days, PGA National has a named stretch of holes with the 15th, 16th, and 17th being called “The Bear Trap”. I’ll assume that it’s called The Bear Trap after designer Jack Nicklaus who had the nickname “The Golden Bear”, and not for the Florida Black Bear which was recently taken off the threatened species list. In this case, the “trap” is the water in play on all three holes and not an actual trap because it’s “illegal to injure or kill a bear in this state, or possess or sell bear parts”. And since the entire state of Florida is comically flat (total of 345 ft. elevation change), the high winter winds have a propensity for pushing golf balls into these large, sadly bear-free, water hazards. I would mention that ball striking and putting are key this week, but that’s pointless because both of those are important every week. In reality, limiting weak bailout shots away from the water that borders all holes on the home stretch will be important. Weak shots will show, which makes for a fun tournament to watch on the weekend. Russell Henley proved he was Best Russell by making par on the first playoff hole beating Rory McIlroy, Ryan Palmer, and Worse Russell Knox. Only slightly less odd than having a four man playoff with two Russells is having all of their names be disyllabic and start with the letter R.
Last year’s scores were pretty bunched at the top of the leaderboard as Best Russell won with a fairly high score of -8, showing that PGA National has the teeth of a major championship course. But there were also 45 players who finished under par. If any one of them played the round of their life, they could have won. This combo makes for a fun tournament to follow since there are a bunch of players in contention, but also makes it tough to pick who’s going to win. A misplaced bogey or double bogey could move a guy from contention of winning down to outside the top 20. Players hitting for the middle of greens — With water on every hole in the Bear Trap, we can reasonably expect players to be going for the middle of the greens on the final few holes. Good shots won’t be ones that end up near the hole since nobody is going to be aiming there. Solid shots towards the middle of the green will be the most impressive, especially on the par 3 15th. A short hole that maxes out at 179 yards, a ball in the middle of the green is what everyone will be going for. The 18th hole — I know it’s a cliche to put the final hole on a “things to watch” list, but the 18th here will be especially interesting. It’s a snake of a par 5 with water all along the right. There’s also a decent chance at least one player will need a birdie there to win or get in a playoff. Do they go for it in two like Tiger did (see the amazing video below)? Do they lay up and try to rely on their wedge game? Do they purposefully hit it left of the green and try to pitch it up and down? It’s a quirky hole, almost a little too quirky, but sure does lead to dramatic finishes. Rory! –The number one ranked player in the world returns to the United States! Rory currently has a fairly impressive lead in the official world golf ranking. Not quite like Tiger did back in 2007, but so dominant that he’s going to be the favorite every week he tees it up. Rory’s played a limited schedule this year, only playing in the Dubai Desert Classic earlier this year (which he won by the way), so him making his US debut in 2015 is something to keep an eye on.